The Schooner Virginia, a modern wooden replica of a pilot schooner of the same name built in 1916 is currently undergoing a major re-fit after being mothballed for several years. Now owned by the Nauticus Foundation, the re-fit will be completed in time for the upcoming season. A Norfolk based non-profit organization, the Foundation’s Sail Nauticus project will use the Schooner to broaden its programming as it pursues its mission of positively inspiring, instructing, and impacting Hampton Roads kids through the use of sailing and maritime sciences. Faced with a deck full of brightwork, a frugal budget, and many volunteers, they needed a wood coating that would last long, be easy to apply, and had the look of varnish without the hassles. After doing their research Sail Nauticus selected the Bristol Finish Traditional Amber exterior high performance marine coating as part of the re-fit for the brightwork. Multiple coats a day without sanding between coats for a quick buildup (time saving), and significantly more durable (longer life) than traditional varnish translates into cost savings over time, without compromising the beautiful look. 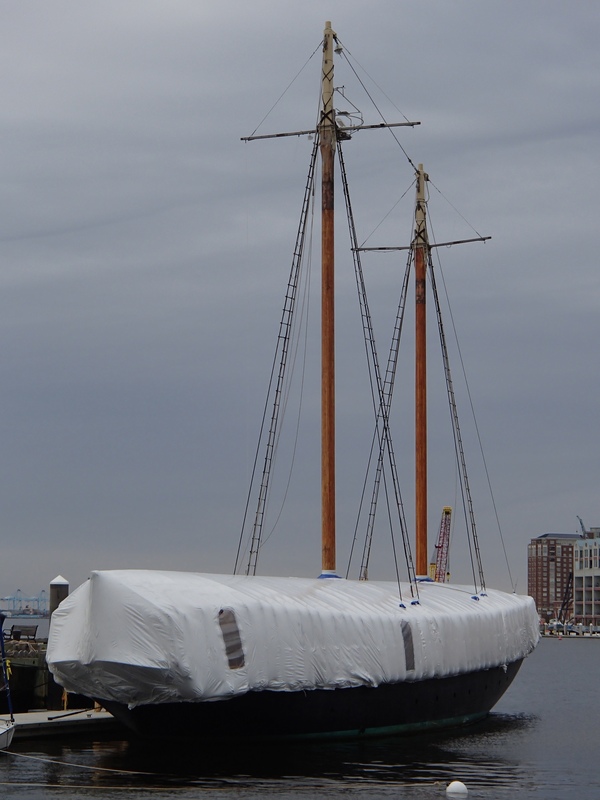 We are thrilled to be a part of returning this beautiful vessel into ship shape and Bristol fashion. Pun intended. Lalandii Coatings, LLC is the manufacturer of the Bristol Finish Brand of exterior/interior high performance marine and architectural wood coatings. Dealer and distributor inquiries, questions or comments should be submitted to info@lalandii.com or 855-423-8009.